Dashing American ship captain, Dominic Mason, will win Maria's heart, but shatter it when he rejects her for another, setting her on a journey back to San Francisco. There she discovers her heart can never be conquered, it must only be surrendered, not just to the man she loves, but to the God who will never let her go. Captain Dominic Mason knows how to fulfill his duties. He's living for God and country, determined to obey the Almighty and help bring California into the Union. Yet death and the devil's deception will rob him of all he holds dear in San Francisco. Paula Scott has a background in journalism. She and her husband live on a farm in Northern California with their sons. They also have two grown daughters and several grandchildren. Paula writes historical and contemporary fiction, and blogs about life, love, and farming at psbicknell.com. My opinions on this book are pretty much the same as my opinions on the first in this series. This is the second book I've read by this author and I was very impressed. 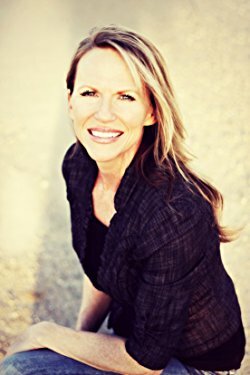 Although parts of the book are a bit "edgier" than the usual Christian fiction books I read, the message of salvation is loud and clear, and that is definitely something I look for in a Christian fiction book - the Gospel. This book contains the story of Maria, a California girl, who is also part of the first book as a supporting character. She is a bit wild, free spirited, but haunted by her own demons and spirits since she was a child. 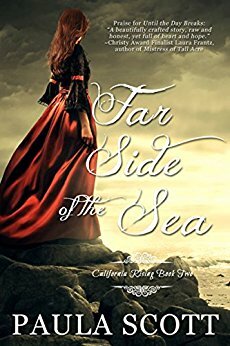 Not of her own desire, she ends up with a murder on her hands, and has to flee her beloved California. With the help of Gavilan she assumes position on a ship with no knowledge of who the captain is. From the time I began reading this book, I was hooked! It was difficult to put down. The story is intriguing and draws the reader in. The book is full of twists and turns, characters you will love and grow attached to. The depth of Christ's love, His mercy and forgiveness is clearly demonstrated throughout the pages of this book. However, Maria must learn to accept that love and surrender to God. Some of the content is not for the faint in heart, and the edgier parts would not be recommended for teens. The evil described can give you chills at times. I received a copy courtesy of the author and was not asked to write a positive review. I am looking forward to reading the next book in the series.